In September 2016 parliamentary elections were held in Russia. The new State Duma started its work on October 5. There are many questions that emerge in this light. What were the peculiarities of the campaign? Which conclusions can be made from the results of the elections? What is the face of the new Duma? Will its work change and, if yes, how? What will be new Duma’s weight in the Russian political system? 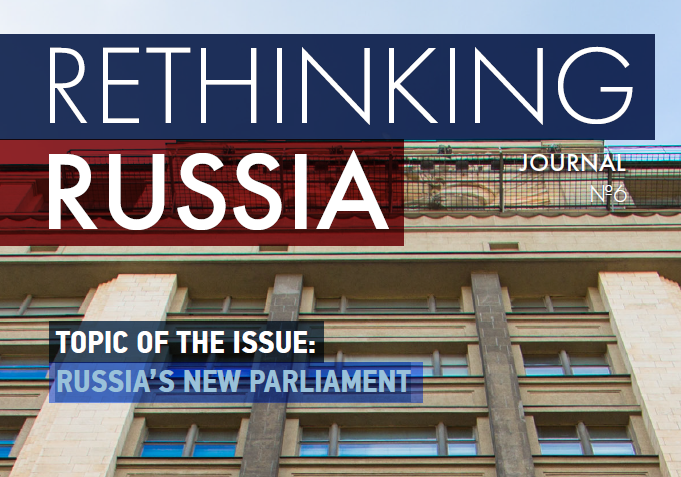 In our attempt to address these and other questions, we are glad to present 6th issue of Rethinking Russia Journal. Our contributors are both Russian and foreign political scientists and commentators.